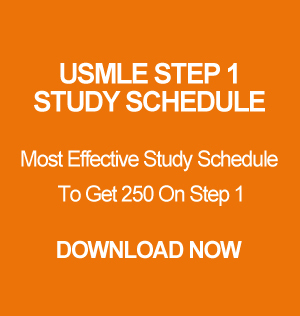 I know not that many of you are aware of the USMLE Step 1 Practice Exam at the Prometric center. It is extremely high yield and I recommend everyone to take it before going for the actual exam. Now let me explain what the practice exam is all about. USMLE Board created this practice exam so that everyone will get an idea of how the actual exam will feel like. Not only that, you will also get used to the exam center. I personally went ahead and took the practice exam before I took my actual exam. It gave me a chance to be familiar with the exam center, computer system, break time and travel time. The practice exam consist of 3 blocks and the computer system is just like the USMLE World. The only difference between the USMLE World and the Exam is that the fonts in the computer system are larger in the prometric system. Now you might think how is that important? Well, after doing USMLE World for so long you get used to their font system and you get your reading speed based on USMLE World. But, in the actual exam since the fonts are larger it affects you mentally and you begin to think that the questions are longer but it really isn’t. It just that the font is larger. So, by going to the prometric center for the practice exam you can get used to the computer system. I know everyone asks about the break time. I get asked all the time how long is the break, can you eat during the break? can you read First Aid during the break? You can take up to 10 minutes break after every block if you skip the tutorial session. During the break, yes you can go to your locker and get your food and books or whatever you have in there. But I think you should eat fast and use that time to wash your face and restroom. Don’t think about looking at First Aid or any other books. Now keep in mind that, it will take some time for you to sign out of the testing room and to sign in back to the testing room. Every time you get out of the testing room, you will have to sign out and finger print on your way in. Now if multiple people gets out of the room at the same time as you, then you might have to wait on the line and it will consume your break time. So, plan your break accordingly. Again if you go to the prometric center to take the practice exam you will be familiar with it. Also, the questions in the practice exams are high yield. You might get 1 or 2 questions on your actual exam from there. So I will say make sure you take that practice exam. You can also download that practice exam and do it at home but I wouldn’t recommend it since you wouldn’t get the real feeling. According to the USMLE website you can only take the practice exam at the same prometric center that you registered for the actual exam and only one time. So I would say take the practice exam 2 weeks before the actual exam. Usually after you are done with the practice exam it gives you a score. Make sure to go over the practice exam when you come back home. You can download it from here. I am going to stop writing now and if you have any questions feel free to contact me. Best of luck on your preparation!